Inspired by the beauty of Britain’s beautiful coastline, British bath & body brand Seascape Island Apothecary features award – winning products and gifts for the whole family. 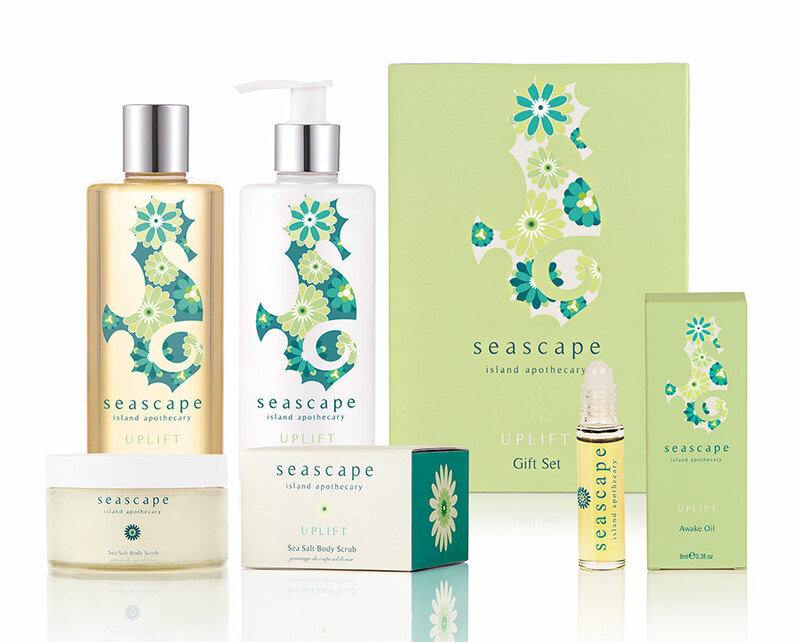 Infused with a rich selection of essential oils, Seascape’s formulations are as natural as you will find in the marketplace, and are free from SLS, parabens, artificial colours and fragrances, petroleum and silicone – based ingredients, and is strictly against animal testing in any way – be it on ingredients or the end product. With varied essential oil blends in each of our 7 bath 7 body ranges, Seascape delivers a subtle but effective aromatherapy experience, suitable for any time of the day or night. Recognised by the UK beauty and travel industry with 36 different awards for our quality and performance, Seascape’s broad product selection is perfect for personal use, or as a gift. 1. Eucalyptus that helps to stimulate circulation. 3. Lavender to refresh the senses. Included in the range is a 300ml Body Lotion, 300ml Body Wash, 8ml Awake Oil, 175ml Sea Salt Body Scrub and the Uplift Duo Gift Set – containing the Body Lotion and Body Wash. The Uplift range of products has been recognised 9 times by the UK beauty industry, including 6 “WINNER” awards for being Best In Category – 3 of which for our amazing Body Scrub! !